As we are juxtaposed between the celebration of Dr. King and the advent of African American History Month, post the (I did not watch) SOTU address from a president* that thinks "hole," not "house" was the insulting part of his epithet, it's healthy to be reminded this dark, fascistic and authoritarian march is global. The world is smaller with more people in it competing for resources, and there are those reptilian brains that wax nostalgic for an idyllic past that never was, but determined to take us all back there, wherever and whatever "there" is in their Gollum minds. It is also sobering to remind ourselves that democratic republics are both fragile and without proper care: fleeting. Dr. Kaya's courage should inspire us all. Atlantic Journal Constitution: Letter From Birmingham Jail (cultural reference to post title). Thousands of academics in Turkish universities stand accused of either having supported terrorism or the attempted coup against President Recep Tayyip Erdoğan in July 2016. Theoretical physicist Ali Kaya is one of them. He was arrested three months after the failed coup and held for more than a year before his trial took place. On 20 December, a court declared him guilty of being a member of a terrorist organization and sentenced him to six years of imprisonment — but released him early owing to the time he had already served in prison while awaiting trial. Kaya says that he is innocent and is appealing against the verdict. 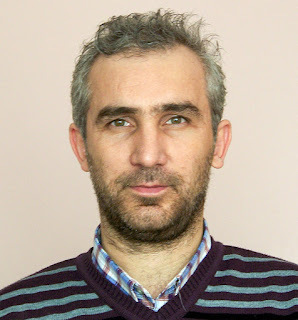 In the meantime, he has been suspended from his academic post, and he has yet to learn whether his university, Boğaziçi University in Istanbul, plans to fire him or to await the outcome of the appeal. Nature interviewed Kaya by Skype about his experiences.